Pastry by Ann, located in central Bangkok, Thailand, has invited internationally renowned chefs to give all kinds of bakery workshops in 2017. An interesting training calendar in which three high-voltage courses are scheduled in just May alone. Marike Van Beurden (6-8), Silver Medal at the World Chocolate Masters 2014, will teach techniques to make light and not too sweet pastry. 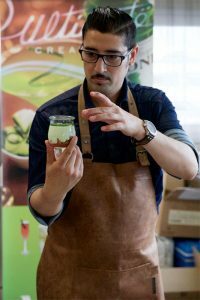 Javier Guillén (24-26), who travels for the first time to Bangkok, will share his techniques for low fat and low sugar pastries using entremets, mousse cake, and moon cake, a special menu for his Asian students. Jordi Bordas, champion of the Coupe du Monde de la Pâtisserie 2011, will give a class on his chocolate and pastry techniques, also “Rosa Dels Vents”, a prizewinning menu. In June, it will be the turn of Mayen Orido (Designers and Creative Amazing Cake), who will teach three styles of cake: teapot set cake, chic backpack cake, and tree house cake. And in July, Hans Ovando (so good #5), Spanish Chocolate Master 2013, will demonstrate his contemporary pastry making four special menus that he has created specifically for 2017: entremets, tartelettes, travel cake, and chocolate bonbons. 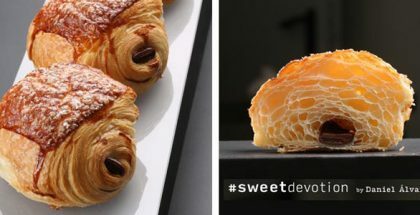 Lastly, the Italian sugar artist Barbara Regini will teach fondant modeling from the first step, and Emmanuele Forcone (so good #16), World Pastry Champion Lyon 2015, will share his expertise on pastry and chocolate modeling techniques with menus such as Mont Blanc, Paris Brest, Tarte Coffee, and Black Forest, from 28 September to 2 October.